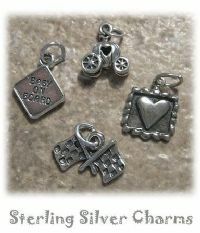 We carry a full line of fun, unique Sterling Charms to satisfy a wide range of personalities. have a wonderful inventory to select from. All Lead-Free and ready to bring a smile to anyone's face.